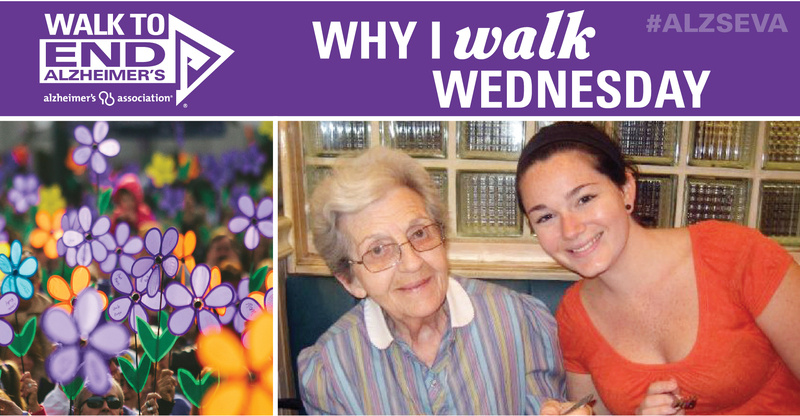 I’m walking to honor my Grandma Sidonio who passed away from Alzheimer’s disease in 2012. She was a real spitfire, though not quite five feet tall, and lifelong New York resident. She used to say, “I may be small, but I am mighty, and girrrrl can I eat!” Speaking of which, she made the world’s best gravy (Italian New York term for spaghetti sauce) and loved her kids and grand kids unconditionally, and with such fearless tenacity, and most of all when they didn’t love themselves. Through a life full of challenges and tragedies, she was the brightest light in the room, the one who always knew what to say to put a smile on everyone’s face, and she never ever missed a birthday or Christmas with family. She was strong and sweet and beautiful from the inside out and I miss her every single day. She taught me to never ever settle and always move forward. Now all I have left is the memory of her, and knowing she left us without memories of us is the saddest thing. So, I am moving forward and walking in her memory and for her memory, and to defend and preserve the memories of so many others I have grown to know and love who suffer from this awful disease. I had never heard the word Alzheimer’s when I was growing up. In my community, people usually lived to a ripe old age, unless they had something like cancer. My first experience with this disease was about 30 years ago when my grandmother began failing. Her mind could not communicate what her body needed to do. It was our family’s way to care for her in our own home, and we did so to the best of our ability. When my mother Lorraine started suffering symptoms about nine years ago, we brought her to Johns Hopkins and some of the best doctors. 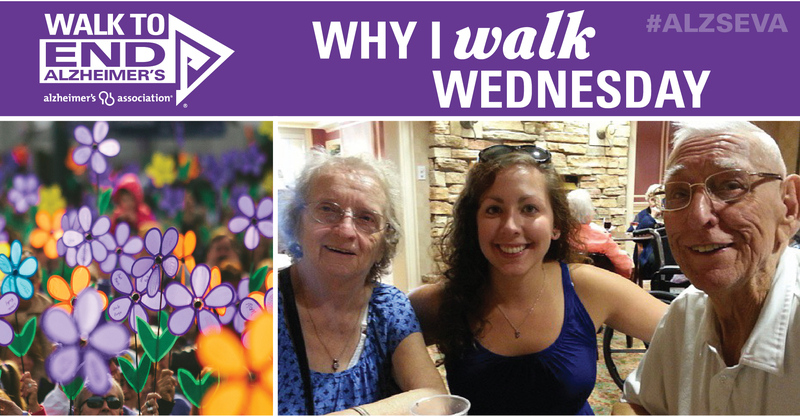 Their diagnoses confirmed that Alzheimer’s had once again woven itself into the fabric of our family’s life. That’s when I began to learn that this is an actual disease, with things that contribute medically, and symptoms that can be identified and tracked. It can come on unexpectedly, or show itself in a variety of stages. It can move fast, or be slowly debilitating. As with my grandmother, our family has pulled together to care for my mother in the same home where we cared for my grandmother. My father and sister look after her daily. And even though our family has experience, this level of care is hard. Essentially, every member of the family suffers collateral damage. If you’re not trained and prepared to deal with the constantly changing needs of a loved one with Alzheimer’s, you won’t realize what it takes to be a primary caregiver. Most people don’t understand the scope of this disease, or how many people are suffering directly and indirectly from it — until they become personally affected. The heartbreak they’ll experience as they see a vibrant person who used to remind them about important things, who now isn’t able to remember those things for themselves. The care choices they’ll need to make, and the financial decisions that put you between a rock and a hard place. And then there are the people with this disease who are left to fend for themselves. Because my mother now has a tendency to roam, I’m reminded of when I lived in Washington DC, and the city issued “gray alerts” when older persons were reported missing and needed to be found. Sometimes that was the first time their families realized the severity. It’s disconcerting to think that you might also be in that place someday. 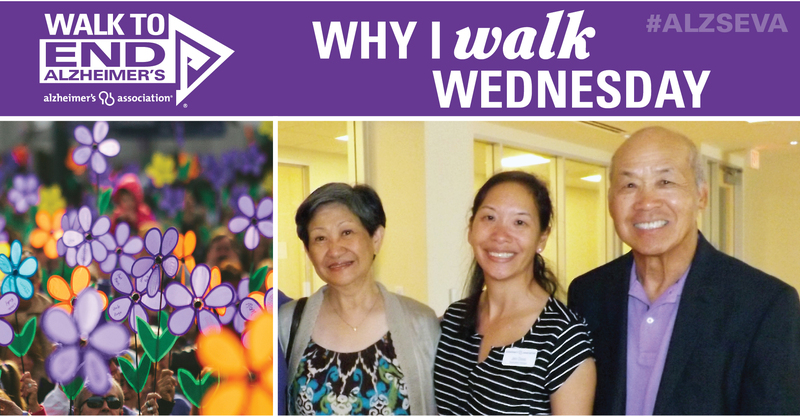 Since moving to Atlantic Shores Retirement Community in Virginia Beach, more than two years ago, I’ve had the time and conviction to try to make a difference in the fight against Alzheimer’s. 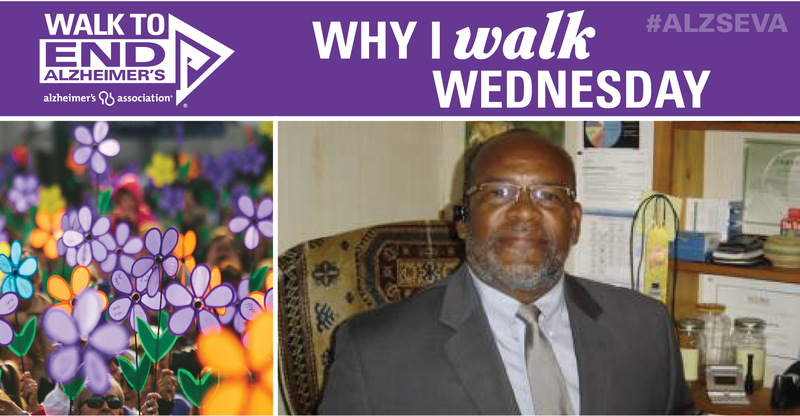 I walk for all the families out there who provide primary care for their loved ones in their homes. For education on how to recognize the signs before it’s too late. And for research that targets the causes, provides the best ways to treat, and ultimately eliminates this debilitating disease.